It's something about the anticipation, the hope for warm, sunny days, and a sun that never sets. At least in this country. Last autumn I planted daffodils and tulips along the path next to the Duck and Cherry. I wanted to surprise the love of my life with beautiful flowers come spring. Spring is here, but so are the deer of the forest. They are our neighbors, I get that. But why do they have to eat our garden? So what do you notice in these two photos? What is the difference? 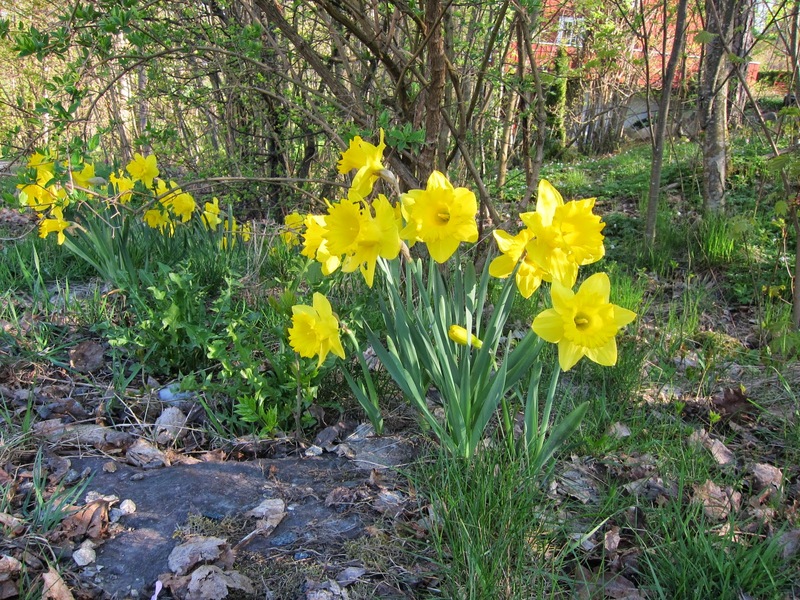 The daffodils are happily sunning themselves, beautiful and cheerful. 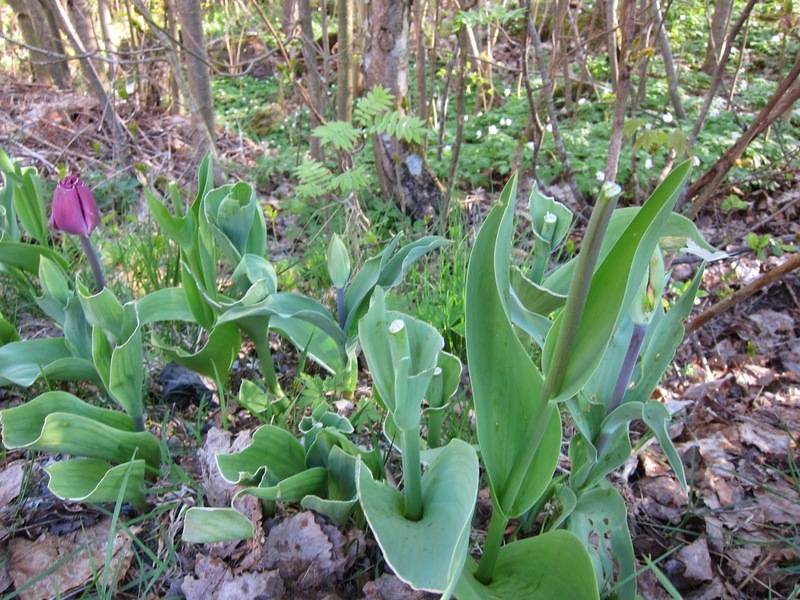 The tulips have had most of their heads cut (eaten) off. This fall I am definitely planting more daffodils.